New from European Thermodynamics – the latest addition to the thermal interface material range from brand Global Component Sourcing (GCS), the phase change material GCS-TRP35-PCM. Ideally suited to fill spaces of up to 0.15mm, the GCS-TRP35-PCM phase change thermal interface material is used to fill air gaps/voids between two surfaces. 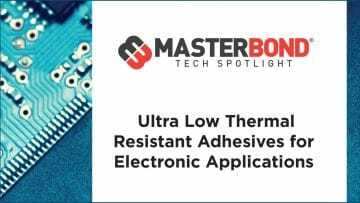 This provides full thermal contact in order to cool critical electronic components, for example on a printed circuit board. 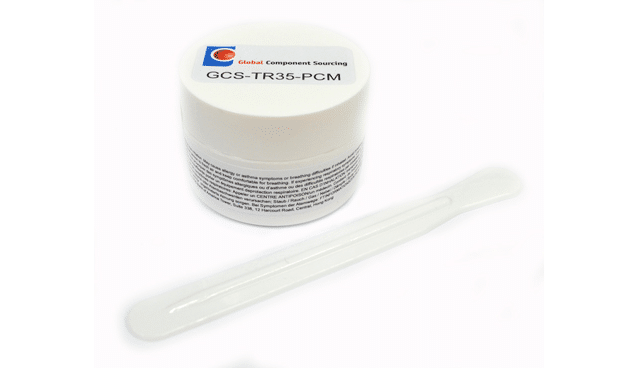 Developed and manufactured in the UK, GCS-TRP35-PCM has a thermal conductivity of 3.5W/m.K. It’s RoHS approved, non-toxic, thixotropic (non-drip) formula means no messy application. It is available as a paste in 100g pots. 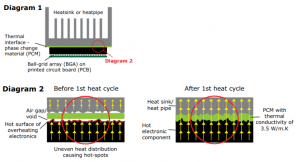 Overall thermal conductivity of an embedded system is enhanced as heat is allowed to flow through the system and disperse. This allows the electronics to function as intended. Increased component density and smaller form factor engineering designs are now possible. Please note: PCM materials do not provide adhesive/mechanical attachment properties. Means of attaching thermal components will be required. See data sheet for technical data. Global Component Sourcing (GCS) is European Thermodynamics own brand for high quality, reliable thermal interface products. European Thermodynamics are leaders in the fields of thermoelectrics and thermal management, working with a number of OEM companies worldwide in the military, medical, industrial automation and automotive markets, as well as engaging in thermoelectric materials research and development. Founded in 2001, European Thermodynamics is privately owned with core competencies in R&D and manufacturing technologies which ensure high quality and cost-effectiveness. European Thermodynamics is an ISO 9001 accredited company.